We´re proud to present to you our new heavy lifter system! The MCE_CC_H.U.L.C cable cam is a “heavy usage line carrier” in particular made for heavy payloads. 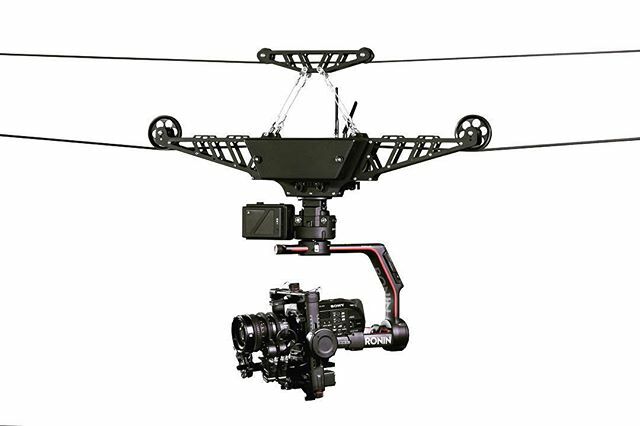 Setups like the Freefly Movi XL, DJI Ronin R2,Shotover G1, and many other gimbal systems are the main application area. MCE_CC_H.U.L.C can handle payloads up to 35kg / 77,16Lbs! Automatic end point system, multiple usable attachments for extra batteries and devices, and a 15mm rod system are just a few new great features. Our H.U.L.C is easy to setup, safe to operate and is a very powerful cable cam system made for Broadcast and Film productions. Designed, engineered and hand made in Germany.